Perfectly suited for granule and powder packaging! Extra value in price and performance! 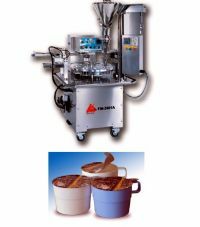 Ideal for packaging granule and powder. 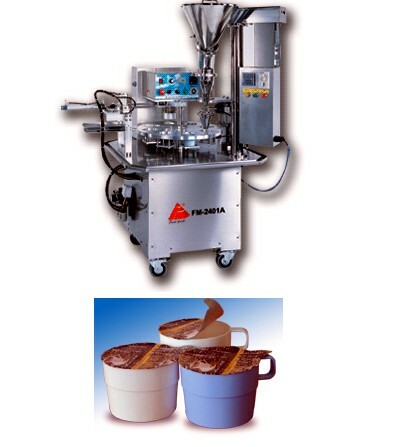 * The rotary type filling sealing machine is especially suitable for small or medium sized factory. * The machine frame is manufactured from stainless steel to meet sanitation standards. * Single aluminum foil suction . * Designed for sealing aluminum foil. * In case of lack of cup, the machine does not perform filling motion. * Employ quantitative screw for filling.